Set your tablet to WEB view at page end. ​DEDICATED TO CHRISTY WOSTER, L.M. Montgomery scholar, collector, donor, and kindred spirit to all. I am simply a "book drunkard." Books have the same irresistible temptation for me that liquor has for its devotee. I cannot withstand them. L.M. Montgomery, personal journals, 4 April 1899. 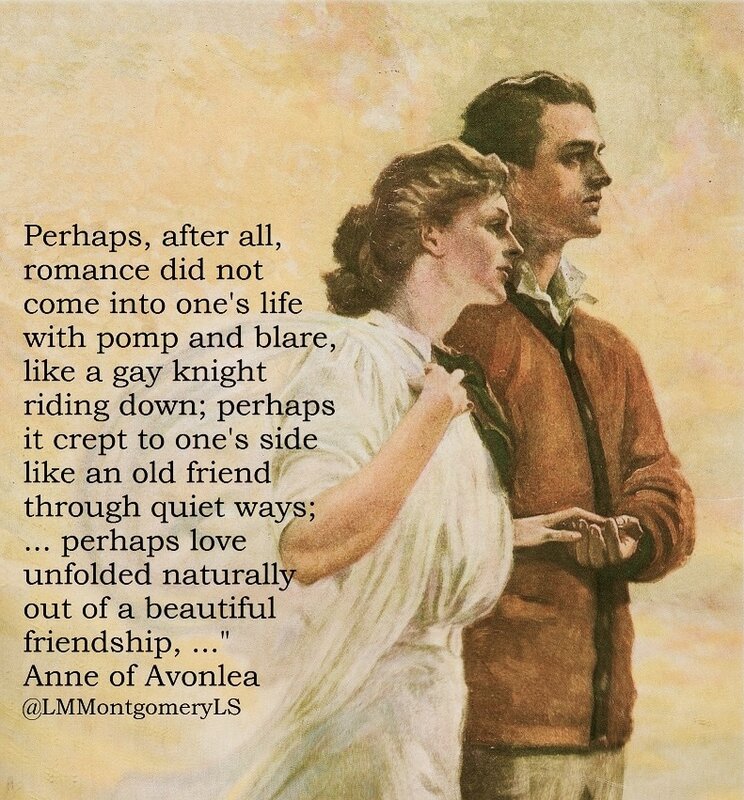 She may have remembered it from Elegy Written in a Country Churchyard (Thomas Gray) or The Story of an African Farm (Olive Schreiner) or even Little Women (L.M. Alcott) ...revelled in long discussions with the kindred spirit... . They are both so nice -- they are "my style" and I am right at home with them. We are kindred spirits. She might have written it that way in 1890, but since she re-copied her journals almost 30 years later, she could have added it. Miss Barry was a kindred spirit, after all, Anne confided to Marilla. You wouldn't think so to look at her, but she is. You don't find it right out at first, as in Matthew's case, but after a while you come to see it. We will dare more greatly, faring on a common way. Gain or loss come of it, so the game be worth the play. To be thus worn threadbare out -- but you are mine! All the pale witcheries of old enchanted woods. Or be intimate with moonlight in gypsy solitudes. Nights that will be purple pearls, binding in our days. Daring to be silent, too, because we trust. When our high dreams have gone into the dust. Gardens will the dearer be for our remembered walks. Oh, there will not be time for all we have to tell. Let us take and hold now what is given to bind us. You and I will keep our step, friend with friend. "...I have at last learned that it is not what we get out of life but what we put into it that makes or mars it." "Every morn is a fresh beginning, Every morn is the world made new." Mrs. Rachel Lynde Is Surprised - So said Mrs. Rachel to the wild rose bushes out of the fulness of her heart; but if she could have seen the child who was waiting patiently at the Bright River station at that very moment her pity would have been still deeper and more profound. Matthew Cuthbert Is Surprised - Then, holding tightly to the carpet-bag which contained "all her worldly goods," she followed him into the house. Marilla Cuthbert Is Surprised - To bed went Matthew. And to bed, when she had put her dishes away, went Marilla, frowning most resolutely. And up-stairs, in the east gable, a lonely, heart-hungry, friendless child cried herself to sleep. 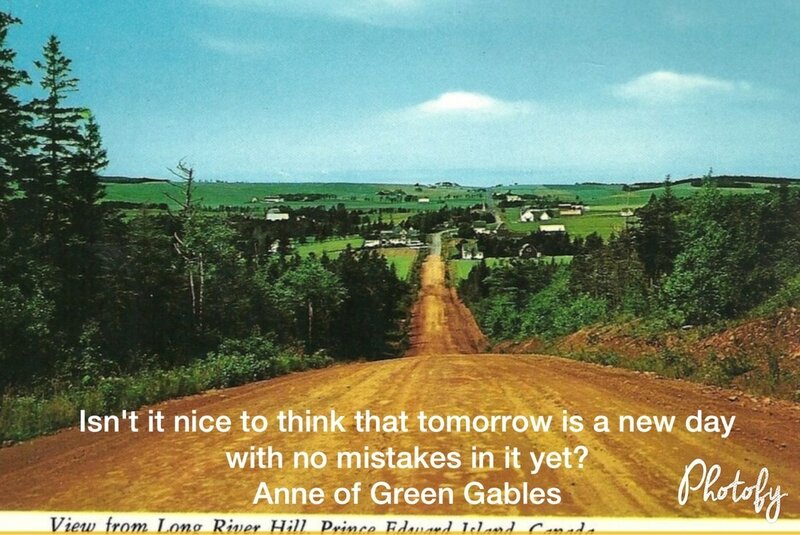 Morning at Green Gables - Marilla looked back once as the buggy bounced along and saw that aggravating Matthew leaning over the gate, looking wistfully after them. Anne's History - "I was afraid it might be Mrs. Spencer's place," said Anne mournfully. "I don't want to get there. Somehow, it will seem like the end of everything." Marilla Makes Up Her Mind - "Did you ever suppose you'd see the day when you'd be adopting an orphan girl? It's surprising enough; but not so surprising as that Matthew should be at the bottom of it, him that always seemed to have such a mortal dread of little girls. Anyhow, we've decided on the experiment and goodness only knows what will come of it." 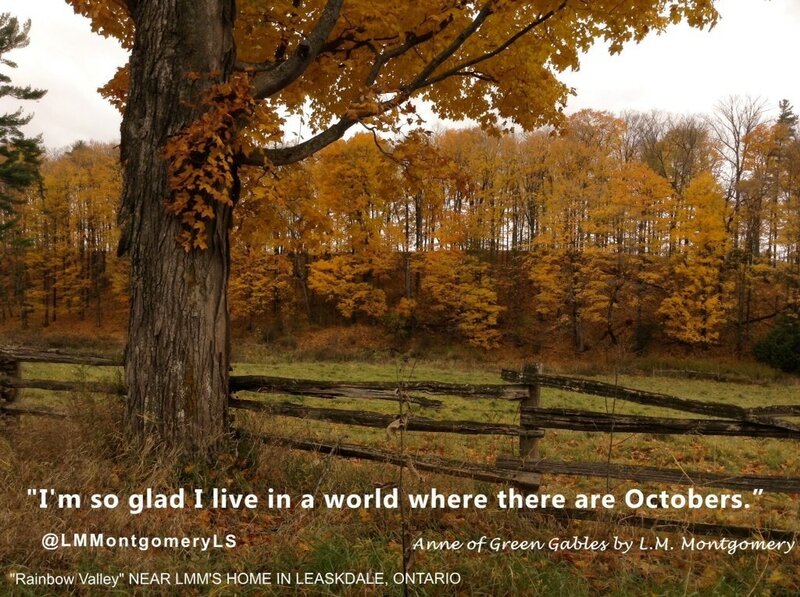 Anne Says Her Prayers - "I foresee that I shall have my hands full. Well, well, we can't get through this world without our share of trouble. I've had a pretty easy life of it so far, but my time has come at last and I suppose I'll just have to make the best of it." Anne's Bringing-Up Is Begun - Anne blew a couple of airy kisses from her fingertips past the cherry blossoms and then, with her chin in her hands, drifted luxuriously out on a sea of daydreams. Mrs. Rachel Lynde Is Properly Horrified - She was as angry with herself as with Anne, because, whenever she recalled Mrs. Rachel's dumbfounded countenance her lips twitched with amusement and she felt a most reprehensible desire to laugh. Anne's Apology - "Oh, there's so much scope for imagination in a wind! So I'll not talk any more just now, Marilla." "Thanks be to goodness for that," breathed Marilla in devout relief. Anne's Impressions of Sunday School - It almost seemed to her that those secret, unuttered, critical thoughts had suddenly taken visible and accusing shape and form in the person of this outspoken morsel of neglected humanity. A Solemn Vow and Promise - "I'm perfectly willing to own up that I'm glad I consented to keep the child and that I'm getting fond of her, but don't you rub it in, Matthew Cuthbert." The Delights of Anticipation - "Will you let me hold the brooch for one minute, Marilla? Do you think amethysts can be the souls of good violets?" Anne's Confession - "That child is hard to understand in some respects. But I believe she'll turn out all right yet. And there's one thing certain, no house will ever be dull that she's in." A Tempest in the School Teapot - "Well, Anne Shirley," said Marilla as soon as she could speak, "if you must borrow trouble, for pity's sake borrow it handier home. I should think you had an imagination, sure enough." Diana Is Invited to Tea with Tragic Results - "Poor little soul," she murmured, lifting a loose curl of hair from the child's tear-stained face. Then she bent down and kissed the flushed cheek on the pillow. 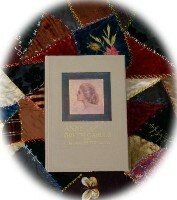 A New Interest in Life - "But really, Marilla, one can't stay sad very long in such an interesting world, can one?" Anne to the Rescue - "I assure you, Marilla, that I feel like praying tonight and I'm going to think out a special brand-new prayer in honor of the occasion." A Concert a Catastrophe and a Confession - "Kindred spirits are not so scarce as I used to think. It's splendid to find out there are so many of them in the world." A Good Imagination Gone Wrong - When she finally stumbled over the log bridge she drew one long shivering breath of relief. "Well, so nothing caught you?" said Marilla unsympathetically. 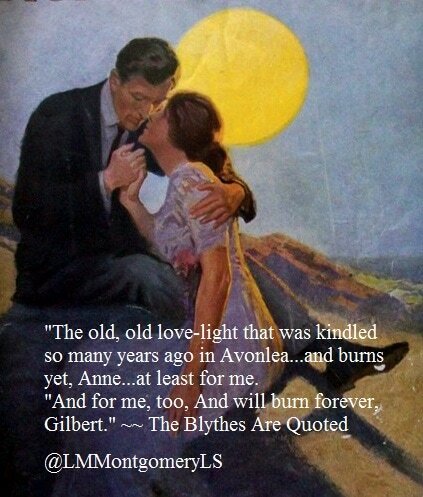 "Oh, Mar—Marilla," chattered Anne, "I'll b-b-be contt-tented with c-c-commonplace places after this." A New Departure in Flavorings - "Oh, don't you see, Marilla? There must be a limit to the mistakes one person can make, and when I get to the end of them, then I'll be through with them. That's a very comforting thought." "Well, you'd better go and give that cake to the pigs," said Marilla. "It isn't fit for any human to eat, not even Jerry Boute." Anne is Invited Out to Tea - "But I think it will be splendid to have a lady teacher, and I really don't see how I'm going to live through the two weeks before school begins. I'm so impatient to see her." 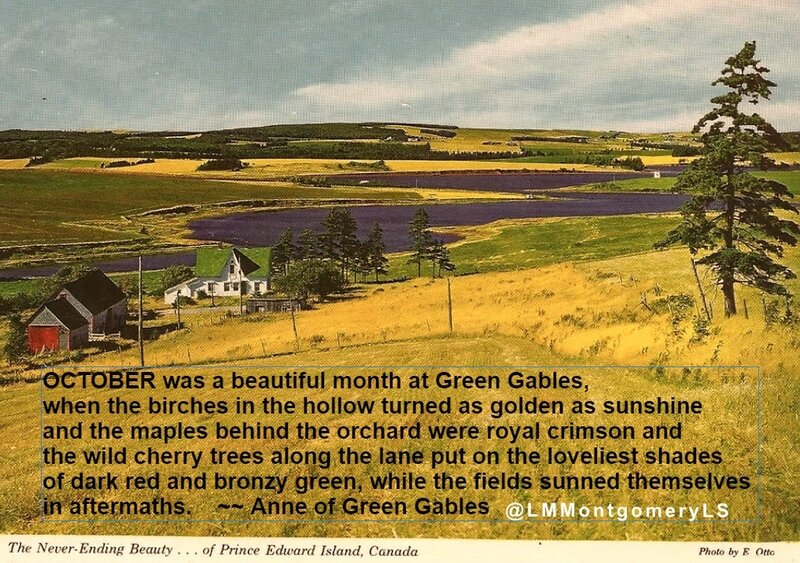 Anne Comes to Grief in an Affair of Honor - "There's one thing plain to be seen, Anne," said Marilla, "and that is that your fall off the Barry roof hasn't injured your tongue at all." Miss Stacy and Her Pupils Get Up a Concert - As it was, he was free to, "spoil Anne"—Marilla's phrasing—as much as he liked. But it was not such a bad arrangement after all; a little "appreciation" sometimes does quite as much good as all the conscientious "bringing up" in the world. Matthew Insists on Puffed Sleeves - "She's quick to learn and I guess the best thing we can do for her will be to send her to Queen's after a spell. But nothing need be said about that for a year or two yet." "Well now, it'll do no harm to be thinking it over off and on," said Matthew. "Things like that are all the better for lots of thinking over." The Story Club Is Formed - "The way I feel at present, Anne," said Marilla, "is that it's high time you had those dishes washed. You've taken half an hour longer than you should with all your chattering. Learn to work first and talk afterwards." Vanity and Vexation of Spirit - "As for your chatter, I don't know that I mind it—I've got so used to it." Which was Marilla's way of saying that she liked to hear it. An Unfortunate Lily Maid - But Matthew, who had been sitting mutely in his corner, laid a hand on Anne's shoulder when Marilla had gone out. "Don't give up all your romance, Anne," he whispered shyly, "a little of it is a good thing—not too much, of course—but keep a little of it, Anne, keep a little of it." An Epoch in Anne's Life - "I've had a splendid time," she concluded happily, "and I feel that it marks an epoch in my life. But the best of it all was the coming home." The Queens Class Is Organized - "But somehow—I don't know how it is but when Anne and them are together, though she ain't half as handsome, she makes them look kind of common and overdone—something like them white June lilies she calls narcissus alongside of the big, red peonies, that's what." Where the Brook and River Meet - There would be other springs, but if she did not succeed in passing the Entrance, Anne felt convinced that she would never recover sufficiently to enjoy them. The Pass List Is Out - There was in it thankfulness for the past and reverent petition for the future; and when she slept on her white pillow her dreams were as fair and bright and beautiful as maidenhood might desire. The Hotel Concert - "Well, I don't want to be anyone but myself, even if I go uncomforted by diamonds all my life," declared Anne. 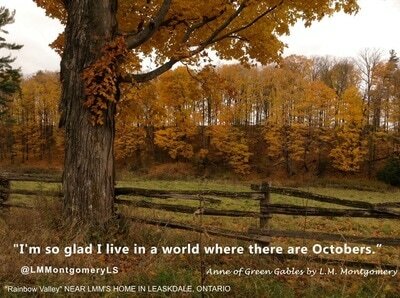 "I'm quite content to be Anne of Green Gables, with my string of pearl beads. I know Matthew gave me as much love with them as ever went with Madame the Pink Lady's jewels." A Queen's Girl - "Just as soon as you attain to one ambition you see another one glittering higher up still. It does make life so interesting." The Winter at Queen's - All the Beyond was hers with its possibilities lurking rosily in the oncoming years—each year a rose of promise to be woven into an immortal chaplet. The Glory and the Dream - Anne always remembered the silvery, peaceful beauty and fragrant calm of that night. It was the last night before sorrow touched her life; and no life is ever quite the same again when once that cold, sanctifying touch has been laid upon it. The Reaper Whose Name Is Death - "So you've had a bit of romance in your life, too," said Anne softly. "Yes, I suppose you might call it that. You wouldn't think so to look at me, would you? But you never can tell about people from their outsides. Everybody has forgot about me and John. I'd forgotten myself. But it all came back to me when I saw Gilbert last Sunday." The Bend in the Road - The joy of sincere work and worthy aspiration and congenial friendship were to be hers; nothing could rob her of her birthright of fancy or her ideal world of dreams. And there was always the bend in the road! "'God's in his heaven, all's right with the world,'" whispered Anne softly.